35x7mm. 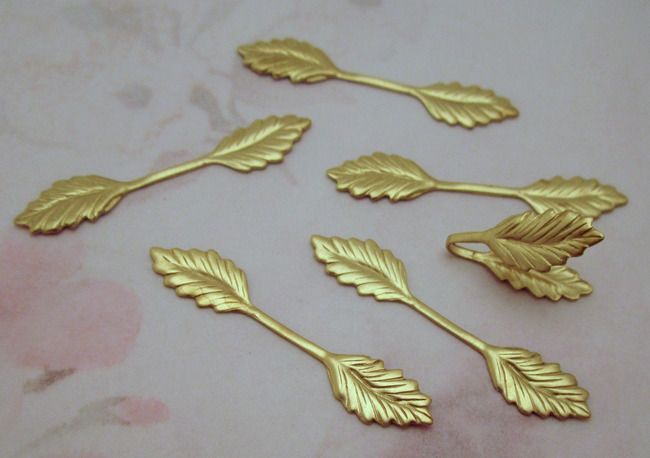 Vintage raw brass dual leaf findings / glue on bails. New old stock. 35x7mm. Vintage raw brass dual leaf findings / glue on bails stampings. Fold over to make a bail. New old stock.